The government has put in place laws to curb the misuse of loudspeakers in the province, but actually implementing them will certainly be no cakewalk with religious parties making it clear that they will not go down without a fight. In recent weeks, police have registered dozens of cases against prayer leaders and even arrested many of them in different parts of the province, including Karachi, under the law relating to the loudspeaker act. Sindh Governor Dr Ishrat-ul-Ebad had recently promulgated an ordinance called the “Sindh Sound System (Regulation) Ordinance 2015”, aimed at regulating and controlling use of sound system in the province. It was stated in a handout issued by the Governor’s House that the ordinance shall come into force immediately in the entire province. However, no further details about it were mentioned. 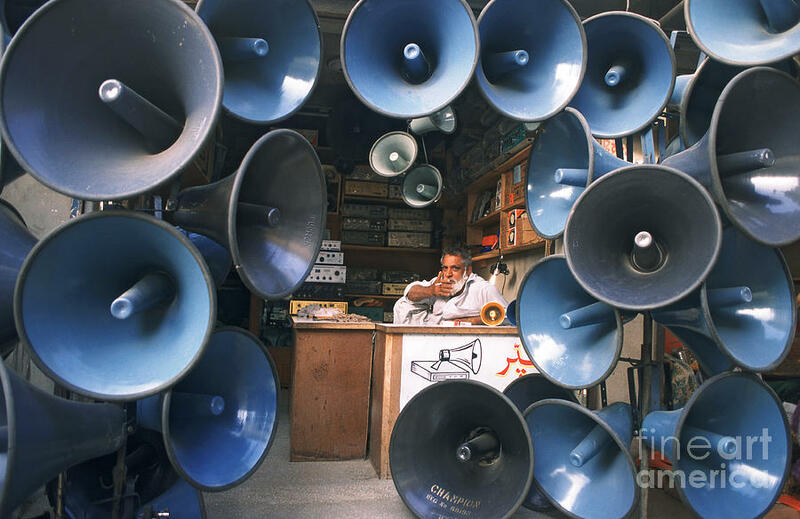 A home department official said the provincial government had been trying to stop the violations of law regarding the use of loudspeakers in worship places, especially in mosques and imambargahs. “In the light of the recommendations of the National Action Plan, the authorities have been working to ensure that loudspeakers are used only for azaan and Friday khutba and promulgation of the recent ordinance is part of these efforts,” he added. Religious parties have vowed to resist the government’s efforts to stop prayers leaders and other religious figures from using loudspeakers for speeches, milad gatherings etc. “We have heard about the new ordinance but not given any details about it,” said Qazi Ahmed Noorani, a leader of the Jamiat-e-Ulema Pakistan-Noorani. “However, the authorities have already started arresting prayer leaders under the new law across the province,” he added. Mujahid Channa, the provincial information secretary of the Jamaat-e-Islami, said Western countries and non-governmental organisations were pressuring the government to enforce such regulations in a bid to create chaos in the country. “Why is the government not banning the singing and dancing celebrations with loud sound systems at wedding halls?” he questioned. Interviews with religious leaders and government officials suggest that religious parties belonging to the Barelvi school of thought are more irked by the new law. Noorani corroborated it and said the authorities were banning people from reciting darood-o-salaam. “An unjustified ban on performing religious rituals will not be tolerated at any cost,” he added. In February, dozens of religious parties and organisations belonging to the Barelvi school of thought announced in Lahore that they were forming an alliance against the restrictions on loudspeakers and the arrest of prayer leaders. Two prayer leaders of Gulzar mosque in the Arambagh area of Karachi were recently arrested under the loudspeaker act but released after religious parties staged a protest. On March 21, cases were registered against the prayer leaders of two mosques in the Ghas Mandi and Cheel Chowk areas of Lyari. However, nobody was arrested. Police officials say that it is very difficult to arrest a prayer leader under the new law. “If we arrest someone or register a case against them for violating the law, religious activists start protesting and pressuring us,” said a police officer in the city’s East district. Civil society activists say that loudspeakers are misused not only for hate speeches, but to disturb citizens too. Zahid Farooq, the joint director at the Urban Resource Centre, a Karachi-based civic rights body, said the loudspeaker law was violated at worship places of all faiths, including mosque and churches. “There are normally five or six mosques in an area or four or five churches in a Christian neighbourhood located close to each other and using many loudspeakers for hours throughout the day,” he added. He recommended that the government should create awareness among the masses about misuse of loudspeakers. Paryal Maree, a social activist from the Shikarpur district, believes that leaders of jihadists and sectarian groups use loudspeakers to spread hatred against rival sects. “In many cases, we saw loudspeakers playing a key role in a situation growing out of control over sectarian and blasphemy issues,” he added. Naeem Mughal, the director of the Sindh Environmental Protection Agency, said sound, after crossing a certain limit, could result health problems including hearing impairment and physiological and heart diseases. He added that prayer leaders deliberately increased the sound of loudspeakers to compete with their rival clerics.